© 2013 by Too Yarn Cute crochet designs by Stacy. All rights reserved. 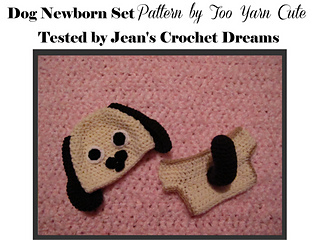 Newborn 12" - Baby 16"
Pattern for Long/Short ears, Long/Short tail and optional muzzle and face. I strive to make all of my patterns easy to read and follow. I am always available for help via email: tooyarncute@gmail.com OR you may message me on my facebook page: http://www.facebook.com/tooyarncute.com. Don’t hesitate to ask! Visit me on my website to keep up to date on new pattern releases and giveaways!